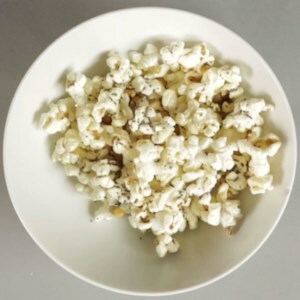 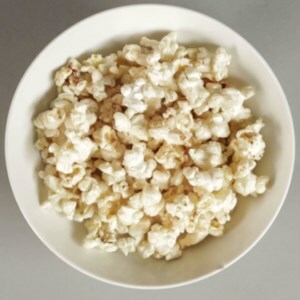 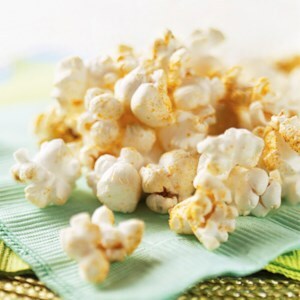 Find healthy, delicious popcorn recipes, from the food and nutrition experts at EatingWell. 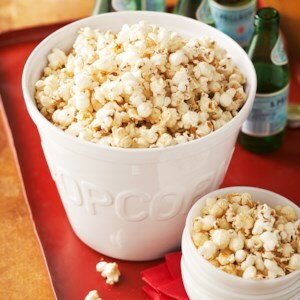 Make your own microwave popcorn with one of these flavor combos: Parmesan, cinnamon sugar, hot cocoa and everything bagel. 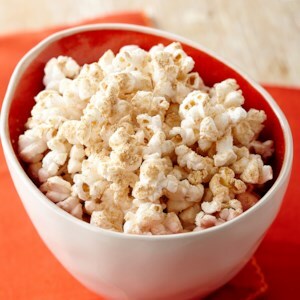 The whole-grain, high-fiber, antioxidant-rich snack is one of the healthiest choices. 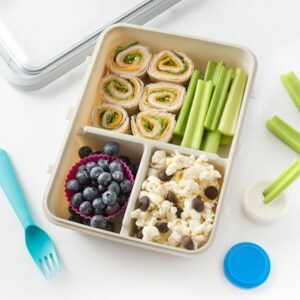 Bite-size pinwheels of turkey, cheese and lettuce make an appealing centerpiece of this bento box. 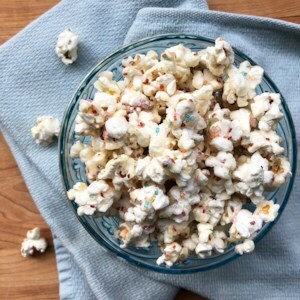 Crisp celery sticks and juicy blueberries are tasty accompaniment, while popcorn, mixed with chocolate chips, makes a satisfying snack or dessert. 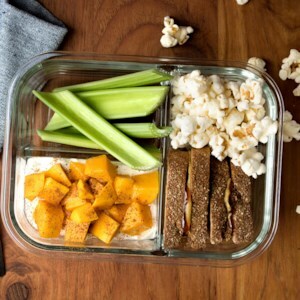 Plus, this healthy lunch is so easy to pack and can even be made the night before. 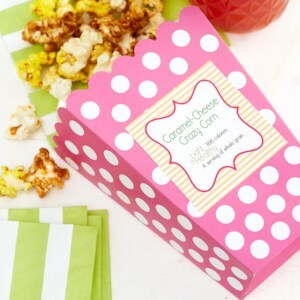 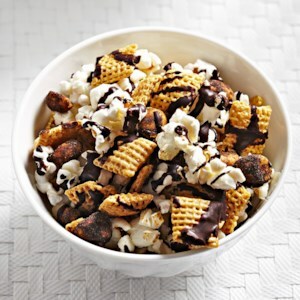 This sweet and savory snack mix has the taste-tantalizing combination of caramel and cheesy popcorn flavors. 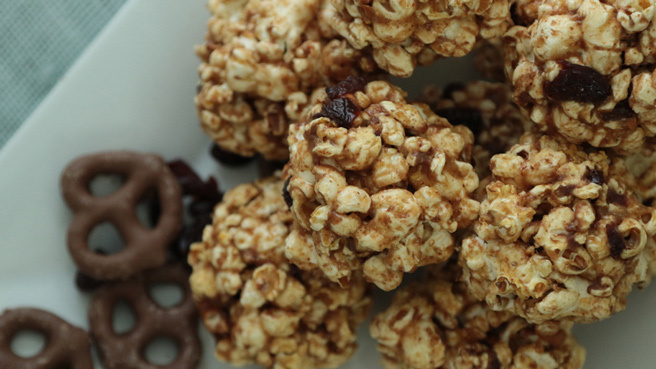 This recipe makes enough for the whole gang, and it will go fast at a bake sale. 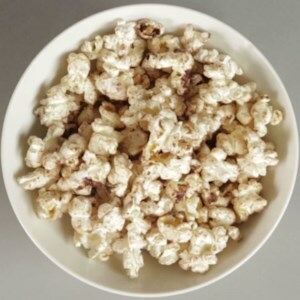 This Chocolate Peanut Butter Popcorn is quick, satisfying, and kid friendly. 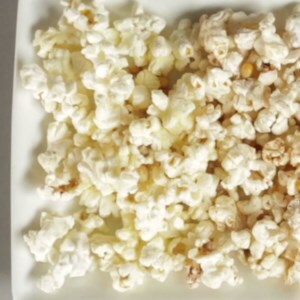 Kids can help prepare by measuring the powdered peanut butter and adding it to popcorn. 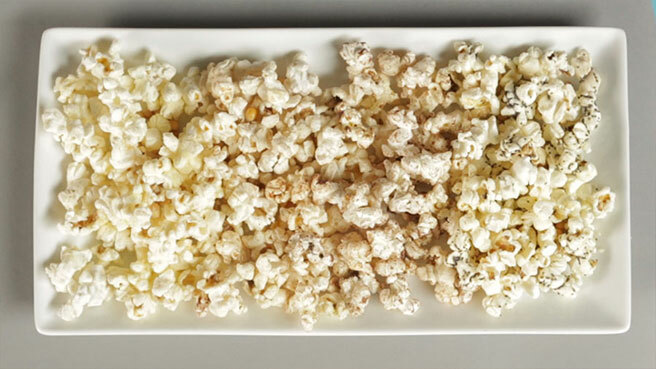 These popcorn snacks are easy to make and great to have on hand. 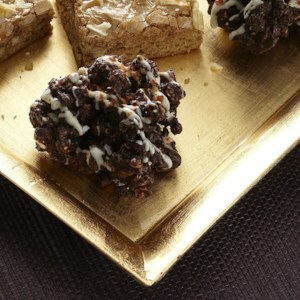 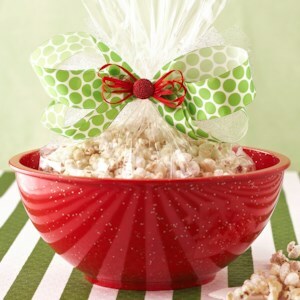 Crushed popcorn clusters are held together with a blend of melted chocolate and spices. 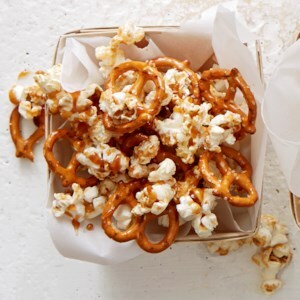 Each bite is an explosion of sweet and spicy! 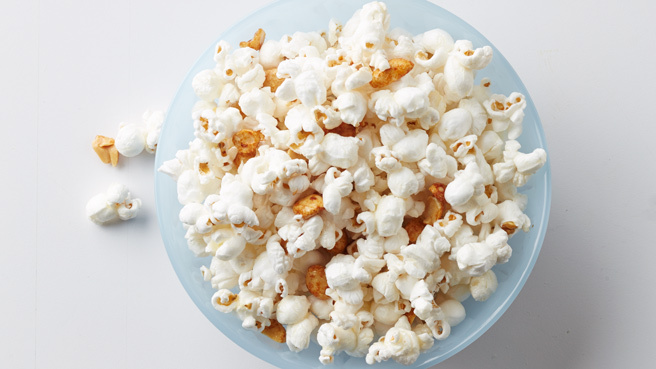 Jazz up plain popcorn with a little cumin and chili powder for an afternoon snack or for movie night. 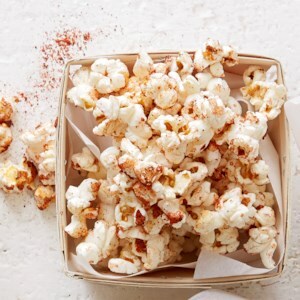 Honey and chili powder create the perfect mix of sweet and spicy popcorn. 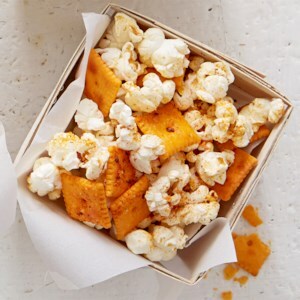 This perfectly savory snack mix is made with cheese crackers and barbecue flavoring. 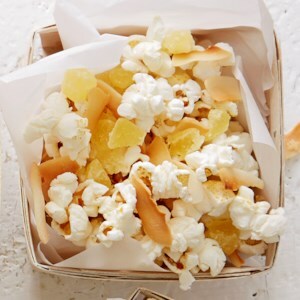 Complete with pineapple and coconut, this sweet twist on popcorn will be a vacation in every bite. 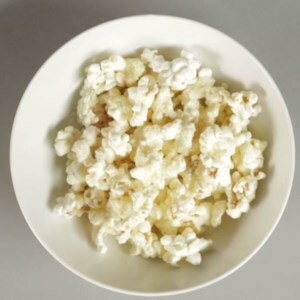 Skip flavored packaged popcorn that can be loaded with salt and calories. 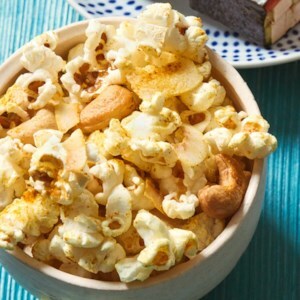 This healthy popcorn snack incorporates nuts to help keep you full longer.